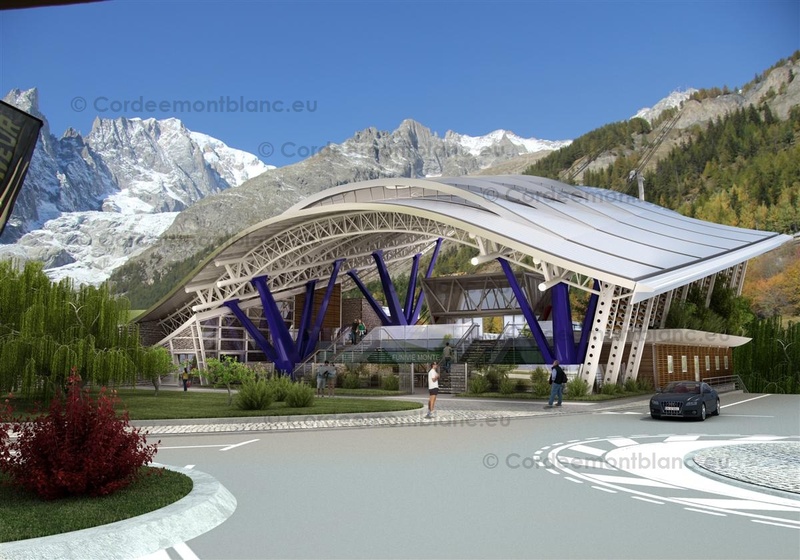 The sinusoidal curve design of the cover gives the structure a deliberately aerodynamic look, ensuring that it serves not only as protection but also as a stylish decorative element capable of flawlessly blending with the surrounding landscape. 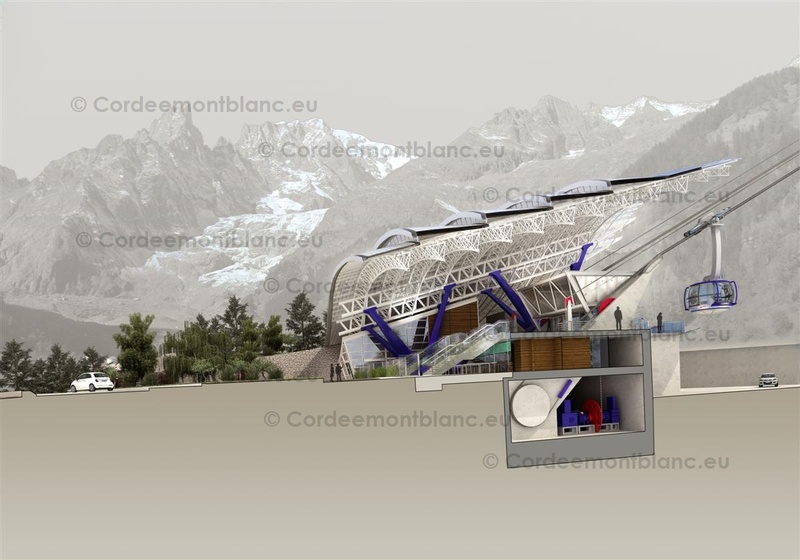 Designed with a ribbed structure that opens up on the side looking towards the mountain and on the entrance, the cover becomes the station’s only buffer structure. 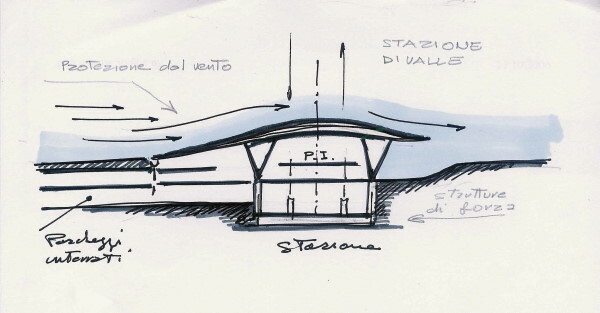 Its wave shape bends gently to cover the cables at the point of maximum convection; while on the western side it slopes down to the ground on the side opposite the vault, supported by fine steel truss arches, which rest on solid foundations, supported by four clusters of tapered rods. The windbreakers of the station’s eastern front are constructed with refined materials like stainless steel and wood and alternate all of the project’s technological components, highlighting the environments thanks to a network of filtered natural light and shadow. 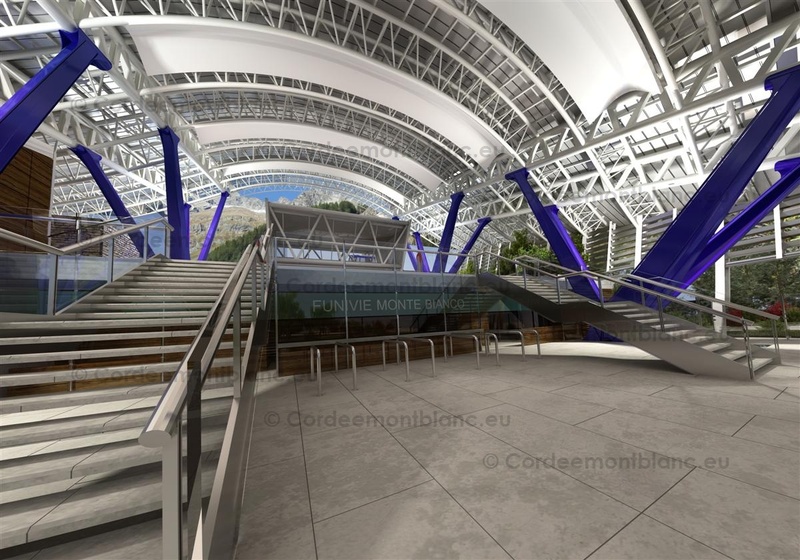 The architectural structures on the western side of the station slope down towards the ground, which in turn is shaped to follow the contour of the front access and cover the underground parking area, providing a project solution for minimum environmental impact on the area. The valley station is equipped with various public services integrated with its mechanical and structural functionality features; the project also spans staff areas, offices, dressing rooms and storage rooms. The area outside spans public roads, parking for buses and a large green area that serves as framework for the project.